Winds of change are blowing through the property industry and players are finding creative ways to weather the storm in the uncertain climate. As William Arthur Ward, the late American writer, said, “The pessimist complains about the wind; the optimist expects it to change; the realist adjusts the sails.” Property 360 Online catches up with Mah Sing Group Bhd CEO Datuk Ho Hon Sang in this Q&A about its transformation programme and latest projects with focus on the millennial market. We want to help everyone own their own home, says Ho. What is this “new us” Mah Sing all about? HHS: In 2017, we launched our new logo and group-wide transformation programme marking the next phase of our journey in the property industry. As we put on a new look, we rethink our purpose. Our tagline is ‘Reinvent Spaces. Enhance Life’. We want to be a meaningful corporation for now and the future. Now, in everything we do, we want to firstly, enhance life. We want to ensure all live well – our customers, our people and our stakeholders. Reinvent Spaces means that the group aims to raise the bar of future living by recreating living spaces, work spaces, business spaces, social and community spaces with innovative design and functionality. With all the effort put in to reinvent spaces, it will be able to improve and add value to the standard of living of the community, hence fulfilling the second part of our tagline, Enhance Life. We also renovated our headquarters and redesigned work spaces with an open concept to promote communications between different departments. New features like karaoke room, gym, pool table, fun meeting rooms and innovation lab are available to create a more conducive environment for meetings and brainstorming sessions. At the end of the day, we want to help everyone own their own home. In our 24-year history, we have gained a good track record in delivering quality homes, but we want to do more. We want to provide our customers with the best customer experience possible. M Vertica in Cheras will have the biggest facilities deck in KL of 4.5 acres housing over 40 facilities. Its Tower B launched in March this year recorded 87% take-up rate. This “Out with the old, in with the new” saying – what does it mean to the Mah Sing of today? HHS: Property development has always been perceived as a conservative business as it involves high investment. Hence, many developers have taken a rather traditional approach, from implementation to marketing. The biggest challenge is to bridge the ‘new’ and the ‘old’ practices into one feasible working methodology in line with Mah Sing’s business strategies. For instance, the traditional marketing techniques which had proven to be effective might not be effective in the current environment, although these have an existing proven track record. When we introduce something new, we must have a sound reasoning backed with proper market analysis. Already a well entrenched brand, how is Mah Sing balancing the old and the new as it moves to next levels? HHS: An existing marketing approach for a product which was adopted many years ago and proven to be effective back then might not appeal to the new generation of purchasers. Not only that, this approach might lose its appeal as the market becomes saturated when it’s adopted by many market players. Mah Sing has taken an innovative step to explore new and refreshing ideas, and we found that a more ‘emotionally appealing/lifestyle marketing’ approach is effective to connect with genuine buyers. We continue with our roadshows across the country and with other traditional marketing initiatives, but with our new transformation in mind. We recreate the look and feel of our booths and focus more on building our relationship with potential customers and giving them an unbeatable customer experience. Freehold and with resort-style facilities, M Centura in Sentul is indicatively net priced from RM350,000 and comes with built-ups from 650sq ft to 1,000sq ft.
We are also very active on our social media platforms as they are among the most effective mediums to reach out to our target market. We create unique content such as festive videos, online contests and more to garner leads and increase brand awareness. Our Facebook page has more than 244,000 likes to date. How is Mah Sing engaging with, and designing and building for the millennial market? HHS: To engage millennials and let them experience what Mah Sing has to offer, the Group has introduced Arts & Lights to Malaysians, an immersive art and technology installation that took place in Icon City Petaling Jaya and will be travelling to our different sales galleries in Kuala Lumpur, Johor and Penang. There were more than 65,000 visitors at the Arts and Lights installation in Icon City, M Vertica’s sales gallery and M Centura’s sales gallery. We believe in reinventing spaces and enhancing life. 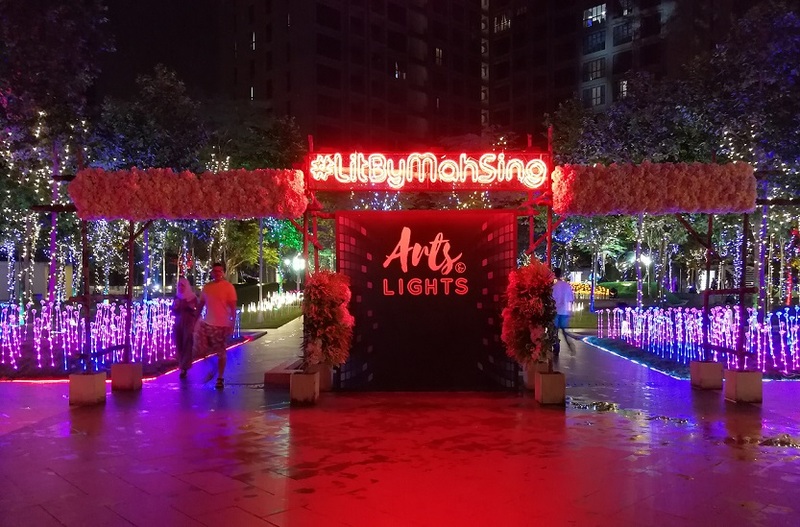 Arts and Lights showcases how Mah Sing has converted the space in Icon City into an art and technology exhibition that captivates visitors with its immersive environments. Our spaces are designed to inspire visitors and celebrate the full spectrum of hues and shades and Instagrammable backdrops. 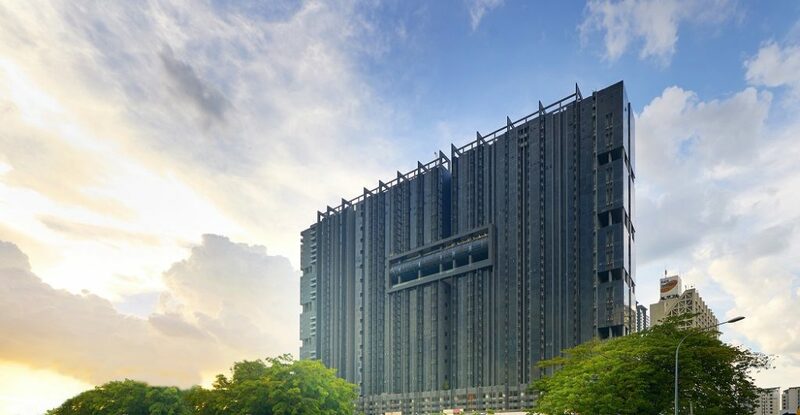 Green-certified M City @ Ampang has one of the best residential facilities in KL that include multilevel thematic hanging gardens like Lagoon Park, fully Technogym-equipped Sky Gym, climate control pool, games room and mini theatre. Mah Sing has organised two previous experiential events in the form of Fire in the Sky and Fire in the Sky 2: Ultra Fitness Festival. Both events received strong support from the public with FITS 1 attracting over 600 participants and FITS 2 over 1,000. Arts and Lights is the next big experiential event by Mah Sing and we also foresee strong interest from the public. It allows millennials to experience our iconic M City @ Jalan Ampang, which houses Malaysia’s first development with multilevel thematic hanging gardens as well as one of the best residential facilities, with a fully Technogym-equipped gym, in KL. We are also excited to partner with reputable brands such as Spotify and Firestation as they are at the forefront of innovation. What big changes are millennials driving in residential property designing and building? HHS: Nowadays, millennials are looking for affordable apartments with functional layouts that come with excellent facilities. They are also drawn to eco-friendly developments. Developments that help conserve energy and water would be more appealing compared with the average development. Our affordably priced projects come with features that enhance the lives of our buyers. M Centura in Sentul is a 100% freehold residential development indicatively net priced from RM350,000 and with indicative built-ups starting from 650sq ft to 1,000sq ft. M Centura provides a total of 1 acre of resort facilities that include an Olympic-length swimming pool, wading pool, laundry bar and childcare area for the convenience of buyers. One highlight would be the dual floating gym, where residents enjoy the beautiful view of the facilities deck while working out. 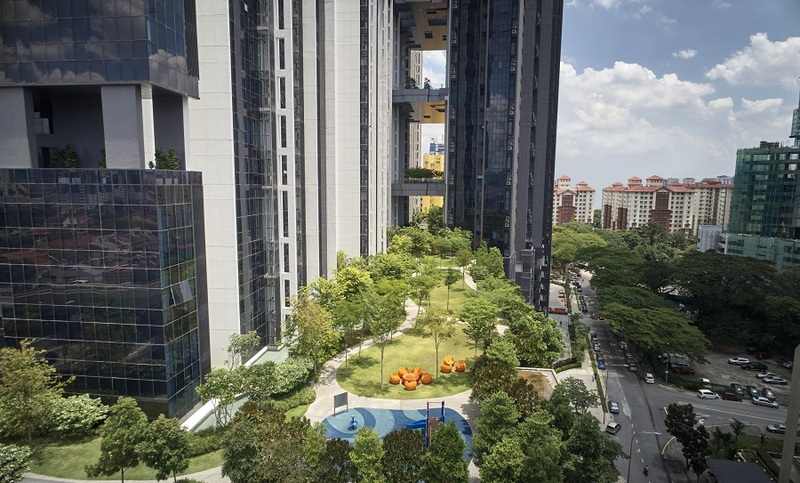 The development embraces green living with vertical planting and tree preservation, rainwater harvesting system, electric vehicle (EV) charging stations for hybrid and electric cars, and integrated garbage disposal system. Our M Vertica in Cheras is a transit adjacent development with indicative price from RM450,800. The project is located about 500m (7-minute walk) from the Maluri MRT and LRT interchange and 800m (10-minute walk) from the Taman Pertama MRT station. M Vertica boasts the largest facilities deck for a residential development in KL with a total of 4.5 acres housing more than 40 luxurious facilities under one roof. 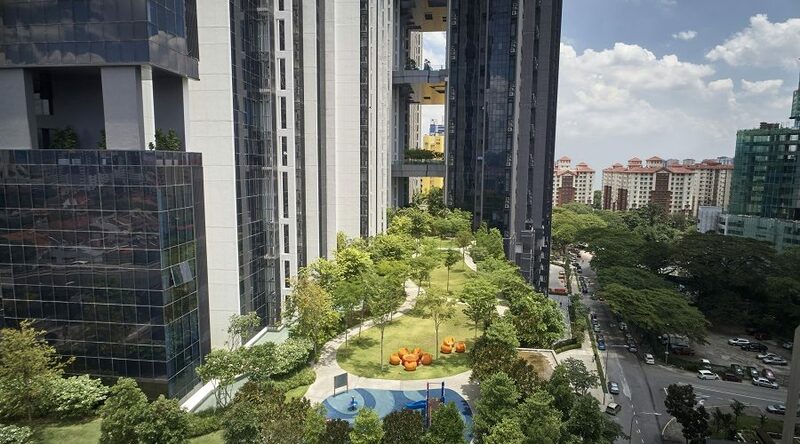 The development also has green features such as stream pneumatic waste management system, LED lighting for common areas, rain water harvesting for landscape and low-e glass for units facing the west direction. How about their lifestyle preferences, and the emerging lifestyle trends that you discern? HHS: Lifestyle, accessibility and emotional values are key drivers in capturing the young demographics today; they look for properties that offer them the lifestyle they are comfortable with. The younger generation is also more receptive towards brand novelty in the products they buy. Hence, we strive to design properties that complement today’s lifestyle. 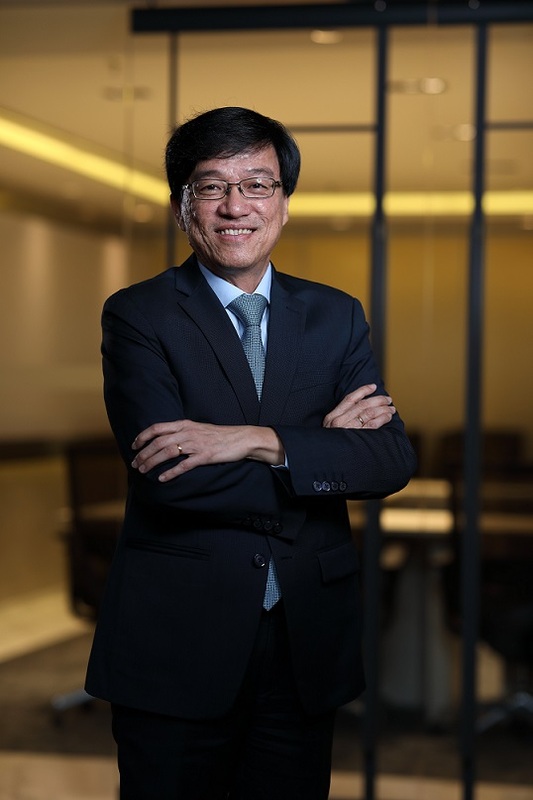 At the same time, technology is playing a big role in the property market and Mah Sing has taken steps to incorporate technology in how we engage buyers and also make it more convenient to them. We recently launched our ‘MY Mah Sing’ mobile application, a mobile companion that guides buyers through their entire homeownership journey with Mah Sing. The app can be downloaded for free on both Google Play Store and Apple App Store. The app enables efficient and transparent communication between homeowners and the property management team and Mah Sing’s customer service team. Its features include an integrated vacant possession scheduler, timely photo updates on construction progress of purchasers’ property, defect management report and property management administrator. Residential real estate of today is no longer just about location, location, location. There’s a new mantra: Amenities, amenities, amenities. Please comment. 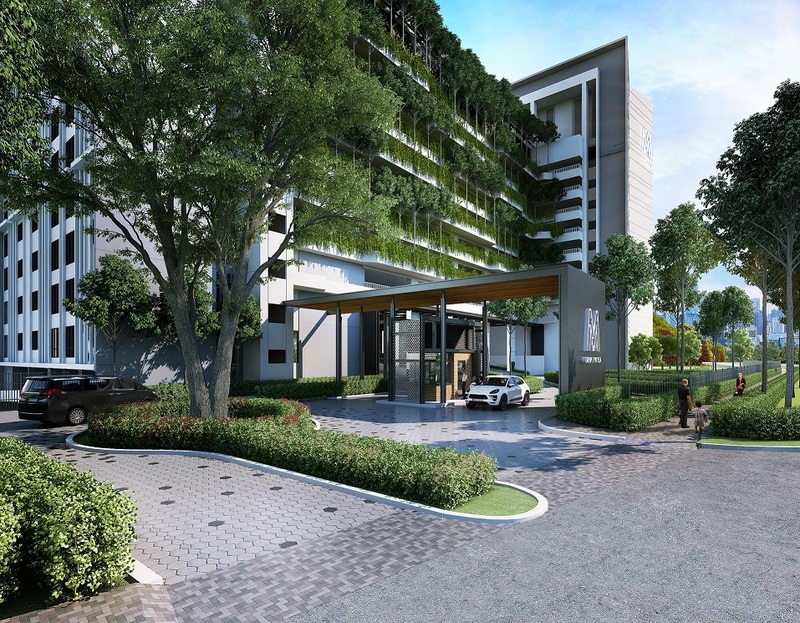 HHS: At Lakeville Residence in Taman Wahyu, we developed one of the biggest sky parks in KL so that it has ample facilities to cater to all walks of life. Lakeville has 38 different points of view and 38 amenities at its sky park that is aesthetically pleasing and enhances residents’ lives with various activities they can experience. Occupying 25% of the entire development, it offers 10 themed features which include ‘relaxing’, ‘tranquil’, ‘playful’, ‘calming’, ‘invigorating’ and ‘delectable’. Among other trendy facilities in the RM141 million facilities podium are the 50m lap pool, wading pool, pool deck, aqua gym, tea garden, meditation deck, maze garden, playground, futsal court, jogging track and BBQ pits. There will also be a badminton court located in the clubhouse for the residents’ convenience. 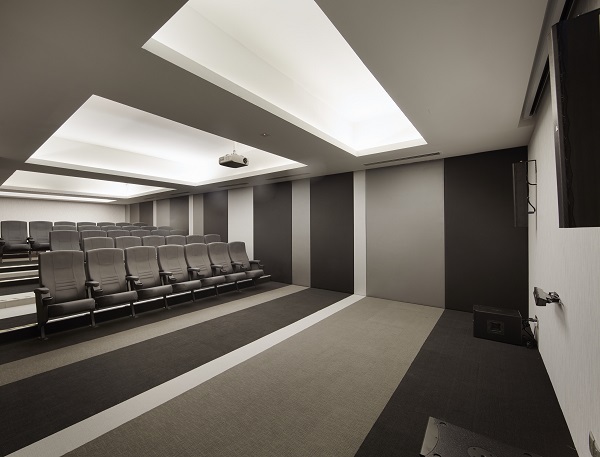 At M City in Jalan Ampang, its Altitude Club’s Level 23A contains two childcare rooms and a 32-seater mini theatre while Level 26 is the Business Centre of M City and comprises two meeting rooms, a conference room and a yoga/meditation room. Level 25 has one of the most well equipped residential gyms in the country. Divided into multiple areas are the all-access gym, kickboxing room and ladies gym. Mah Sing invested RM600,000 to provide M City residents with state-of-the-art gym equipment for their exercise needs. Dubbed the Sky Gym, it overlooks the KL landscape and sets the standard for residential gyms in the city. Level 25 also has an 8m high rock climbing wall, an indoor golf simulator, games room, squash court and aerobics room. In addition, Level 23 has two infinity pools overlooking the city skyline. What sets M City’s pool area apart from other developments is its climate control pool which is kept to a soothing temperature of 29 degrees Celsius. The 27m long lap pool and 15m long lounge pool are for exercise and leisure activities respectively. The pool area also contains a children’s pool and jacuzzis. What are the housing features and amenities that Mah Sing believes would appeal? HHS: Today’s homebuyers expect to get value for their money when they purchase a home. As such, Mah Sing puts in a variety of facilities to cater to all walks of life. M Vertica has the biggest landscape deck in town, spanning 4.54 acres with more than 40 facilities. We also designed our facilities strategically close together. For example, the women’s gym is facing the children’s playground so that mother can watch over their children while working out. M Vertica also has various green features such as stream pneumatic waste management system, EV charging stations and rain water harvesting for landscape. Buyers today appreciate homes with green features. Many of Mah Sing’s developments comply with Malaysia’s Green Building Index and Singapore’s Greenmark. Our green-certified developments include M City and Lakeville Residence. What to Mah Sing is “luxury you can afford”? HHS: Mah Sing offers good product specifications in strategic locations at affordable prices near public transportation infrastructure such as MRT and LRT. In 2017, we launched our Reinvent Affordability campaign based on this concept with our projects M Vertica in Cheras and M Centura in Sentul. The projects are priced below RM500,000, making them affordable to buyers, especially those looking for their first home. Having access to quality developments near public transportation and in strategic locations at a price buyers can afford is a luxury which we give to homeowners with our Reinvent Affordability campaign. What does this “If you build it, they will come” motto of the 1990s mean to the Mah Sing of today, when you target the millennial market? HHS: Today’s market is all about affordability and there is strong demand for properties affordably priced around the RM500,000 range. Mah Sing is focused on this segment and we have seen good response for our recent launches. Four projects under the Reinvent Affordability campaign recorded an average take-up of 90% from the units opened during their respective previews in Q4 2017. 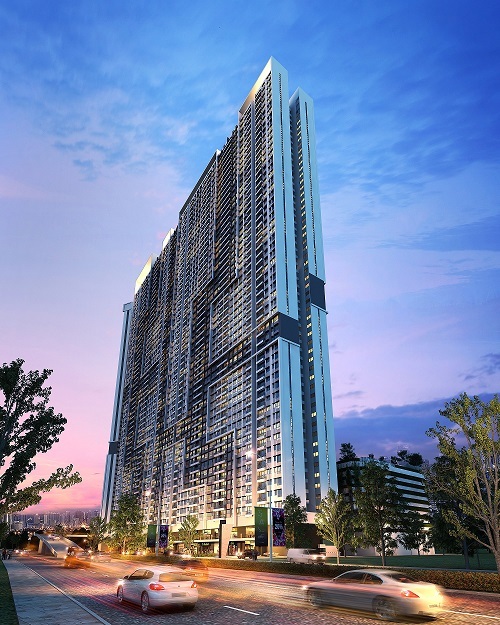 These projects include M Centura in Sentul, M Vista in Penang and M Vertica Tower A in Cheras. The launch of M Vertica’s Tower B in March 2018 recorded 87% take-up rate. This shows that affordably priced, well planned properties in good locations by developers with good delivery track record still do well. This is also ideal for millennials as many are looking for their first homes. The main considerations are the price points and location. With our products, we offer an affordable home with good facilities in strategic locations, ideal for their first home. Where do you see as emerging prime locations? HHS: KL is still the preferred location but with the enhancements made to the public transportation infrastructure, more people are willing to look for homes in the suburbs. For example, our D’sara Sentral in Sungai Buloh is a transit oriented development just opposite the Kampung Selamat MRT Station, under the MRT Line 1. With the MRT, it takes about 35 minutes to reach the city centre (Bukit Bintang MRT station). Similarly, M Vertica is only a 7-minute walk to the Maluri MRT and LRT interchange and 10-minute walk to the Taman Pertama MRT station. There is also a covered walkway to the LRT and MRT stations. With more public infrastructure development and homes located close to public transportation, people will be more open to living in areas outside of KL. What are Mah Sing’s affordable homes for first-time buyers to get on the property ladder? HHS: For 2018, Mah Sing will be focusing on launching residential projects below the RM500,000 range. In fact, 74% of our 2018 residential sales target is priced below RM500,000 These are the upcoming launches in Greater KL and Klang Valley: M Vertica in Cheras (highrise residential, starting from RM450,800, built-ups of 850sq ft and 1,000sq ft); and M Centura in Sentul (highrise residential, starting from RM350,000, built-ups of 646sq ft, 850sq ft and 1,001sq ft). At Southville City in KL South, we have Sensa serviced residences with indicative built-ups from 888sq ft; and Cerrado Residential Suites Tower C and D, indicatively priced at RM600psf and with indicative built-ups from 762sq ft. There is also M Aruna in Rawang, which are two-storey link homes, indicatively priced from RM550,000 and with built-ups from 1,666sq ft. In Johor, we have the first phase of Hazel in Meridin East in Pasir Gudang (comprising 111 units of 20ft by 70ft two-storey link homes with indicative built-ups from 1,964sq ft, indicatively priced from RM550,000), and Parcel 1F (Section 2) in Meridin East, Pasir Gudang (comprising 64 units of 20ft by 65ft two-storey link homes with indicative built-ups from 1,960sq ft, indicatively priced from RM495,000). In Penang, our upcoming launch is M Vista @ Southbay, highrise residential, starting from RM400,950 and with a total of five types of built-ups from 536sq ft (studio unit) to 1,201sq ft (three bedrooms). The immersive Arts & Lights installation will travel to Mah Sing’s sales galleries in KL, Johor and Penang to let potential customers experience what the developer has to offer.